no seriously. are you looking at this? i would like to take this opportunity to thank the amazing julie who sent me arguably the most hilarious/awesome present i have ever received. not only was it an incredibly nice thing to do, but are you looking at it? i mean, how could i have lived my life until now not knowing that this existed? god bless new orleans for knowing that universe needed these. lots of these. and if you’re wondering if i’ll be wearing it next week when i throw myself into the dog eat dog world of weeknight bingo, the answer is an unequivocal HELLS YES. i need to show those grannies who’s boss. 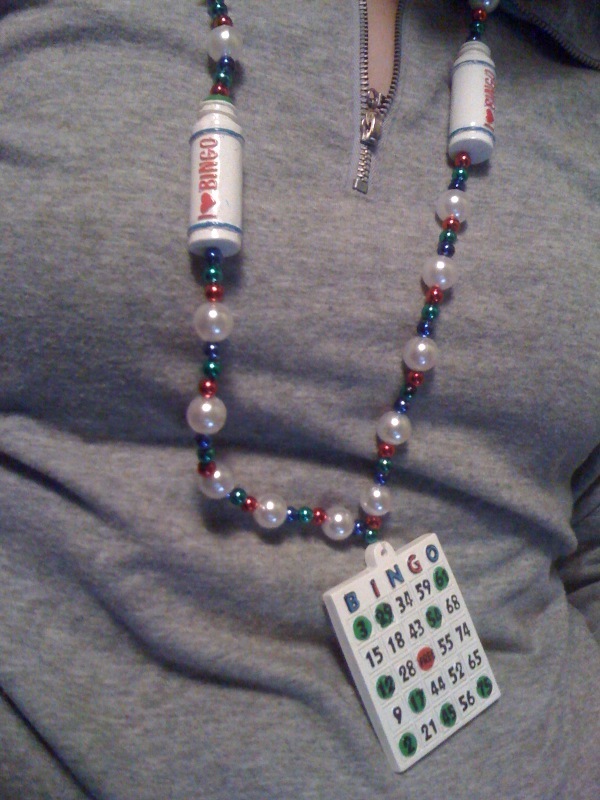 i will also be wearing it at foxwoods next weekend- regardless of whether i’m playing bingo or not. actually, i’m considering wearing it all the time. i think it will work seamlessly into my office casual wardrobe. Categories : i try it! this is hilarious. i think i could have only laughed harder if you featured a lot of edited photos of famously influential people wearing it (the Pope, OctoMom, George Dubya). good work with your blog – odd combination but i really like it. that is an amazing idea. something like this? sadly, photoshop isn’t my strong suit. thank you also for the awesome compliment. we aim to please!